Camilla’s father served with the 12th Lancers during the Second World War. 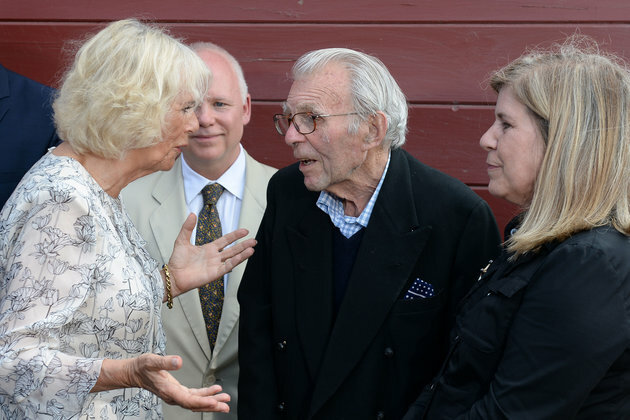 The Duchess of Cornwall has met an old soldier who was a prisoner of war with her father – and heard first-hand how they escaped their Nazi captors. Camilla chatted to Edward Rose, 92, a former lieutenant with the Green Jackets, who was captured after D-Day and incarcerated in Spangenberg Castle with Major Bruce Shand and hundreds of fellow British officers. The pair met over a glass of wine on Friday when the Duchess and the Prince of Wales visited a vineyard near Toronto to meet food and wine producers. 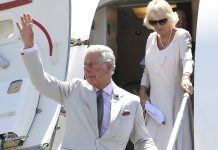 Charles and Camilla’s three-day tour of Canada comes to an end later on Saturday when they join hundreds of thousands for celebrations in the capital Ottawa to mark the 150th anniversary of the founding of modern Canada. U2 band members Bono and the Edge, in the country touring with their group, will be part of the entertainment at the public event. Rose, a 92-year-old retired stockbroker who emigrated to Canada after marrying a local woman, said: “I was in the second wave that went in after D-Day in 1944 and I was a prisoner for about six or seven months. 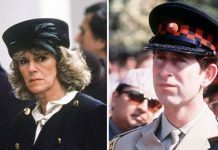 “Where did they get you?″ Camilla asked with a smile when she was introduced to the former officer who described how he was captured on the French-Belgium border at a racecourse. Months later, with the war coming to an end, they were marched from their jail, but a fellow prisoner encouraged them to escape. When they spent the night in a barn, a soldier who spoke German told the guards – who wanted to return to their families – they were leaving and the men met no resistance. Rose said after meeting the Duchess: “Bruce and I knew both knew an Irishman called Terence in my regiment who spoke excellent German, because he’d been at Munich University before the war and escaped seven times but never made it. Major Shand is reported to have said about the experience that they spent two days and nights “dodging the hair-trigger adolescents of the Hitler Youth″ before they handed themselves to American troops. He was awarded the Military Cross in 1940 and again in 1942 for his efforts in France and was later wounded and taken prisoner while fighting in North Africa. 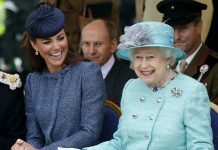 The Duchess chatted intently to the old soldier and lamented her father, who died in 2006, was not alive. She said: “I’m so sorry he’s not here for me to be able to tell him that I met you. 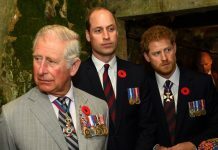 ″During Saturday the royal couple will also visit the Museum of Canada and attend the opening of the new Queen Elizabeth Doors at Rideau Hall, the official residence of Canada’s governor-generals, the Queen’s official representative in the country.